Our brains like to repeat the same ideas and thoughts, over and over again. That’s really bad news if your repeating thoughts are self-attacking, judgmental, and fearful circuitous lies. The good news is, you can replace your repeating thoughts with honest, kind, life-changing affirmations. 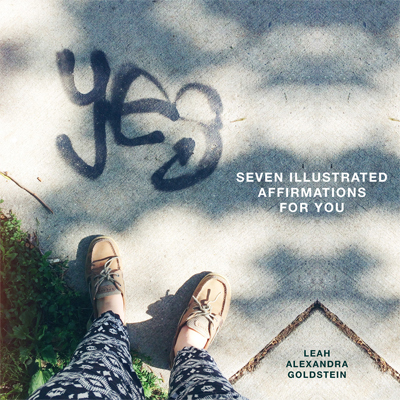 In this free download, I’ve compiled seven of my favorite affirmations and illustrated them for your enjoyment. Choose one that resonates with you and start saying it a few times a day. You might laugh. You might cry. You might hide. You might feel great. You might start to believe what you are saying.